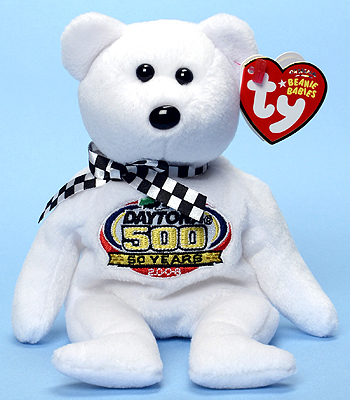 Complete list of NASCAR licensed Beanie Baby bears. 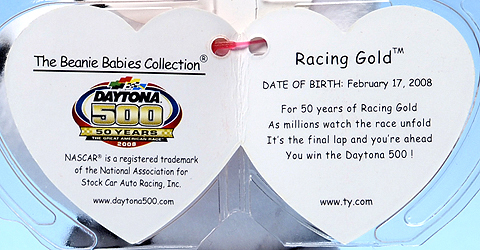 Racing Gold is available in five different colors. Four of the bears have the same style number (40694). The Ty store version (black) is style 44119. 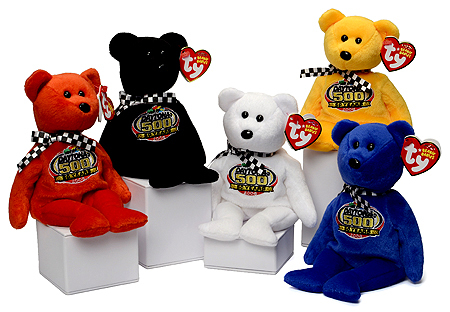 Racing Gold Blue is a half-inch taller than the other four Racing Gold bears. 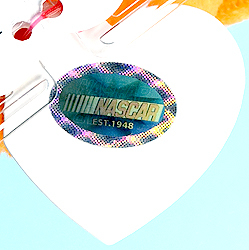 Each bear in this set came with an extra swing tag bearing a holographic NASCAR logo.